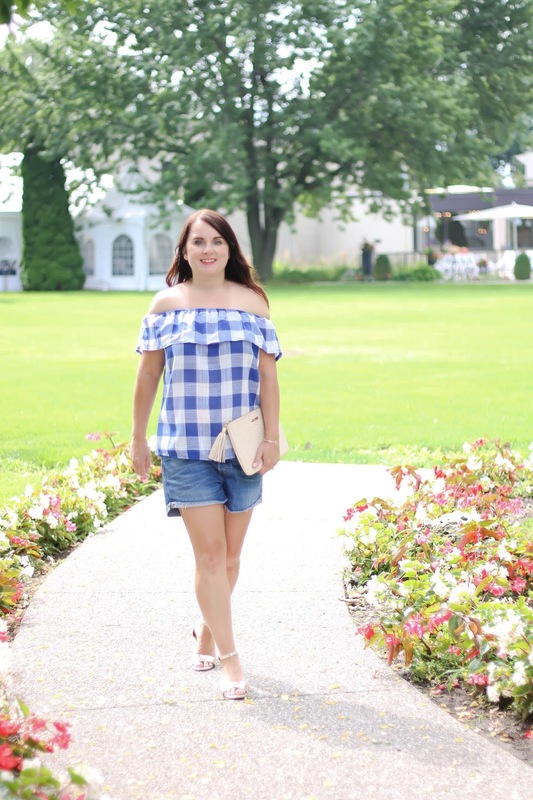 This has been my go-to weekend look lately. 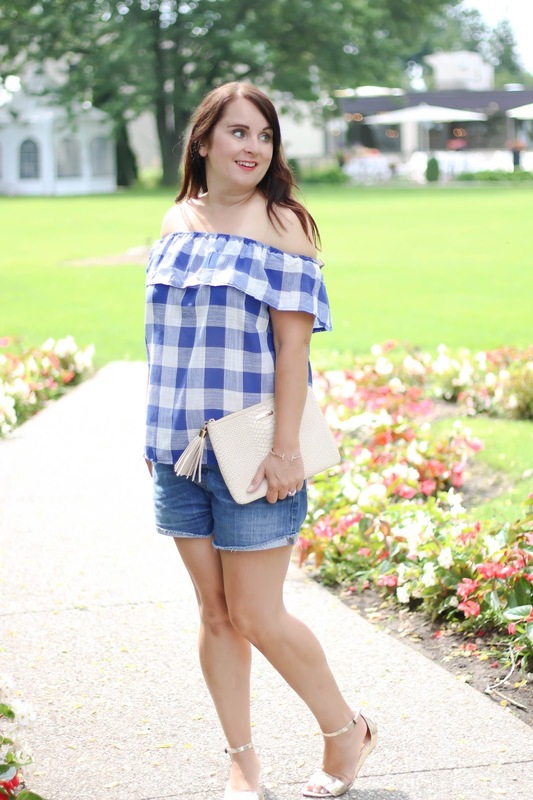 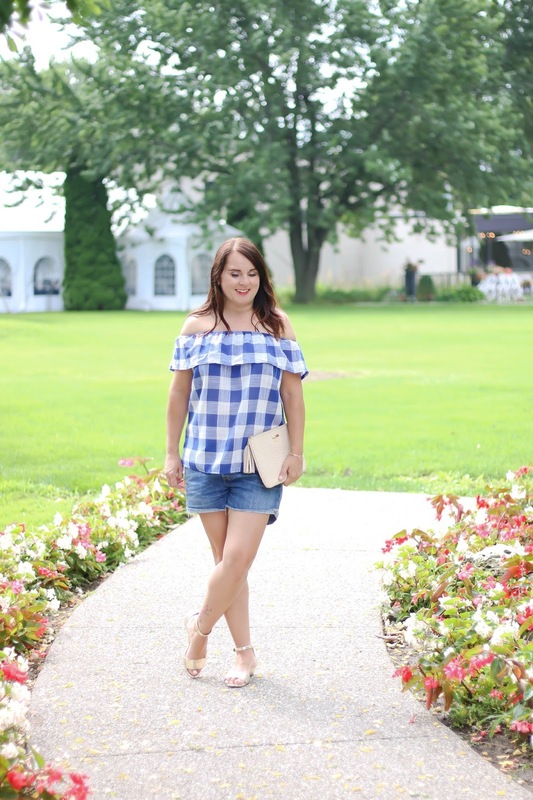 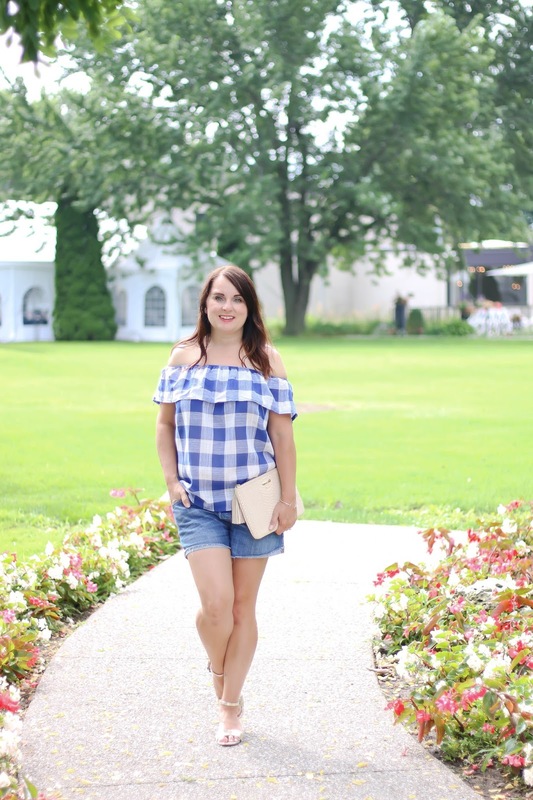 An easy pair of jean shorts and a super cute top. 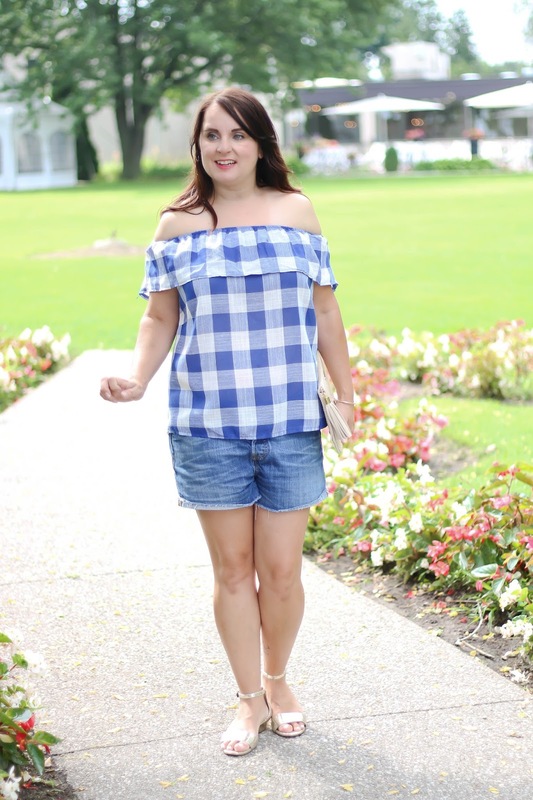 This checkered/gingham top is so light and airy, and yes it's 'gingham', can never have too much right?